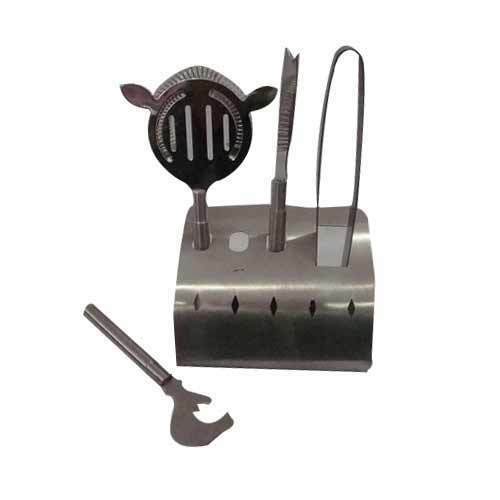 Available with us is an extensive assortment of SS Fabricated Bar Tools which is crafted using superior grade raw material taken from the well-established vendors of the market. Established in 2001, at New Delhi, India, we, Bharat Faucet Pvt. Ltd., have emerged as one of the most distinguished manufacturer and exporter of Steel Ashtray, SS Bar Accessories, Cocktail Shakers, Copper Bar Accessories and Copper Chafing Dish. These are equipped with unique features such as light weight, resistance against extreme temperature conditions, and high durability. Owing to which, they have gained a wide acceptance in the market. Apart from this, clients can avail the offered products from us at cost-effective price range.